La Tatane is a creator and manufacturer of artisanal sandals. 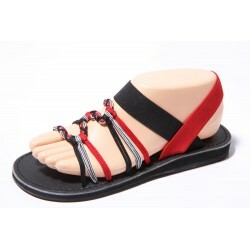 Our products are exclusively braided sandals and handcrafted. The different models are designed to adapt to all kind of foot morphologies. La Tatane is a French brand whose official store is at 8 place du Puits, 56220 Rochefort-en-Terre.